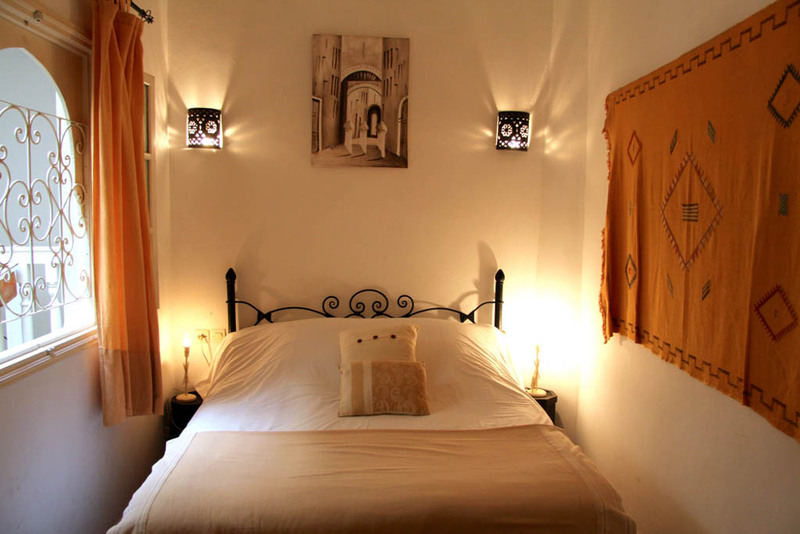 Riad in city centre of Essaouira, perfect for surf holidays in Morocco, with a laid back atmosphere, 6 private bedrooms, free WiFi and breakfast included, just 5 minutes away from the beach the best surf and kite spots in Essaouira. For Accommodation with Surf / Kite lessons, book HERE. 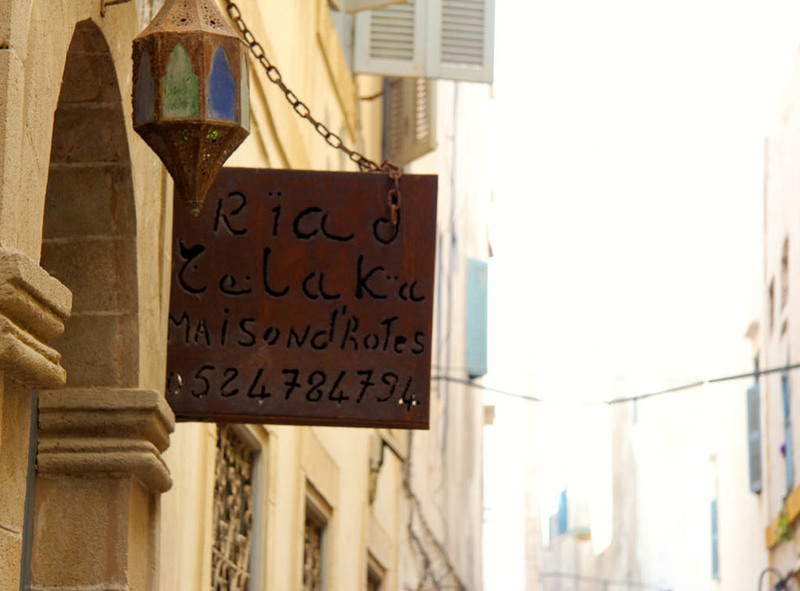 Essaouira is a special city and full of history. It is a famous destination not only for surfers and lovers of wind sports but also for all types of visitors who enjoy a bit of history, heritage, tradition and gastronomy. 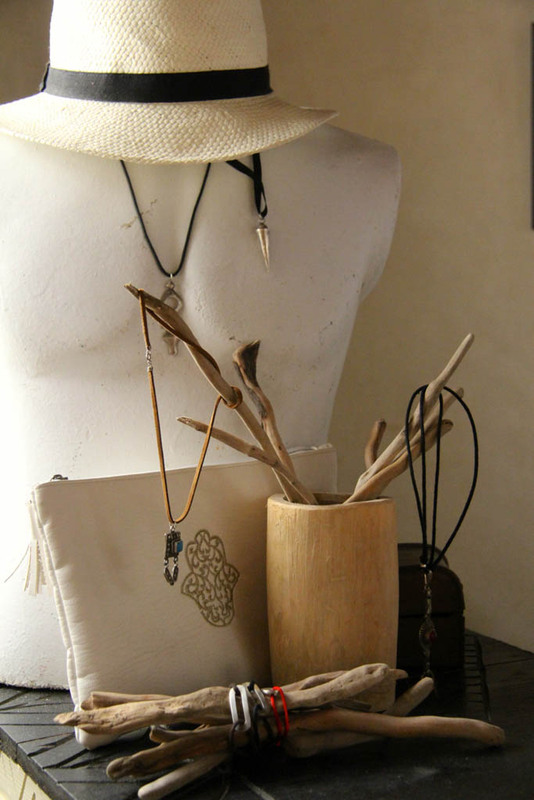 Essaouira offers you all this! 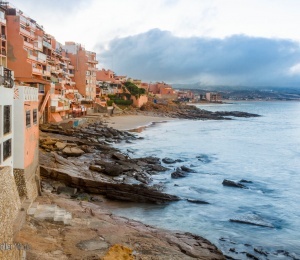 This coastal city was considered Unesco's World Heritage Site in 2001 for preserving intact much of its structure and architecture that was built over many centuries by Carthaginians, Portuguese, Spaniards, Jews, French and Arabs. It is a city that still today presents a huge and unique cultural mix that has always been a meeting point between peoples and a reference in international maritime trade and fishing. Even today, these are still the main activities in this city along with a new phenomenon called tourism. This is why this beautiful city has recently become known to the world but fortunately has managed to maintain its charm, culture, hospitality, traditions and a very characteristic quiet and relaxing atmosphere. In the middle of the white houses of its old Medina you will find and enjoy many cafes, restaurants, traditional shops and events happening all year round. 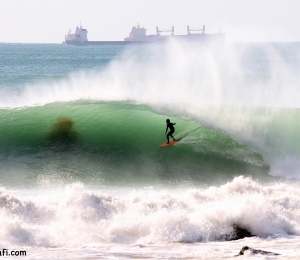 It is a unique experience to be able to spend a few days in this impressive city enjoying its good waves and wind while enjoying one of the most charming cities in Africa. 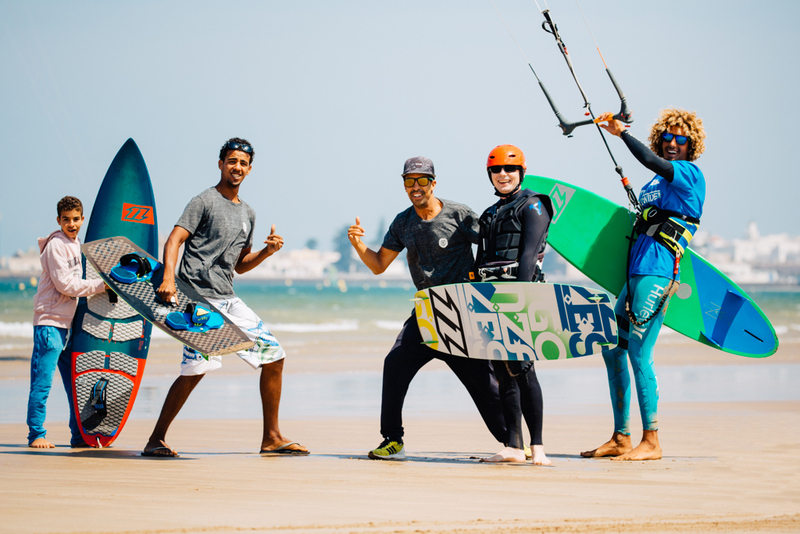 This is why Essaouira has become a popular water sports destination and is a great spot for both kiting and surfing for beginners to intermediates and more experienced riders. The bay of Essaouira offers perfect conditions. The water is shallow with a sandy bottom. The lack of current makes it the perfect for kite beginners and also offers the more experienced riders a great variety of waves and flat riding depending on the swell and the direction of the wind. Surfers have several options in the Essaouira area and also for different levels. Sidi Kaouki and Moulay were also visited. Normally lessons and surf guiding are held in the morning when there is no wind and kite and windsurfing take place in the afternoon when the wind starts to blow. 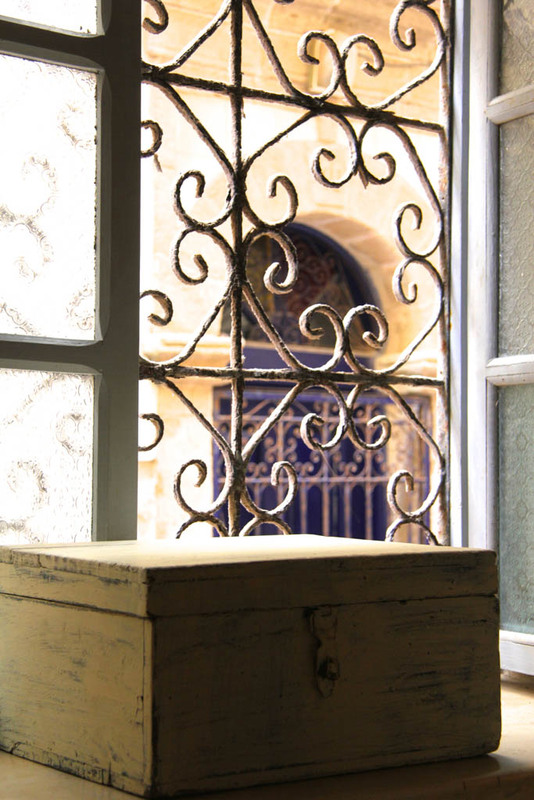 Essaouira Surf Riad is an old building of the historical area completely recovered and with all the conditions and comfort to receive its guests. 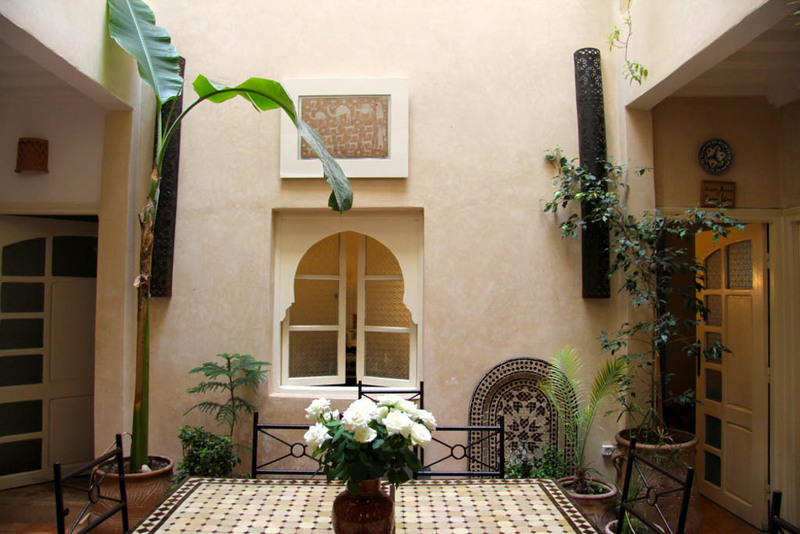 The building, in the best Arabian style, is built around a central pateo that gives access to the various rooms that are spread over several floors. 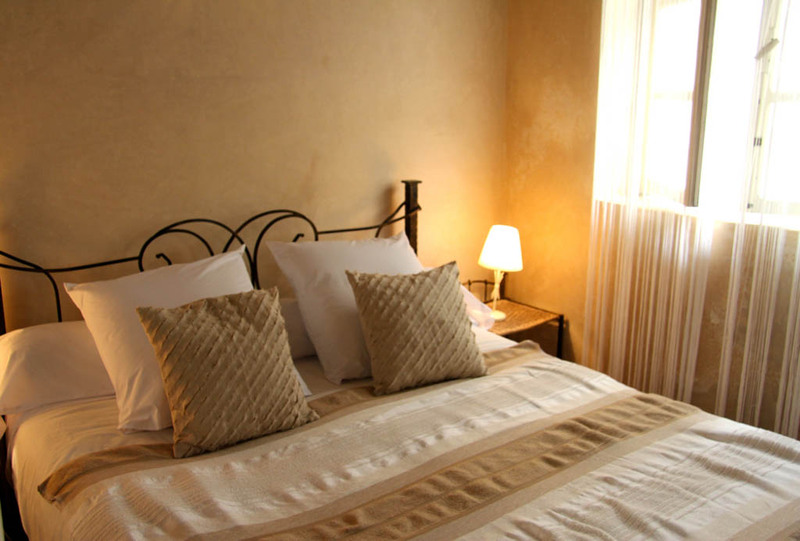 There are 6 rooms in the toal: 2 twin rooms, 2 double rooms and 2 large double rooms with an extra bed with the option to transform into a triple room. 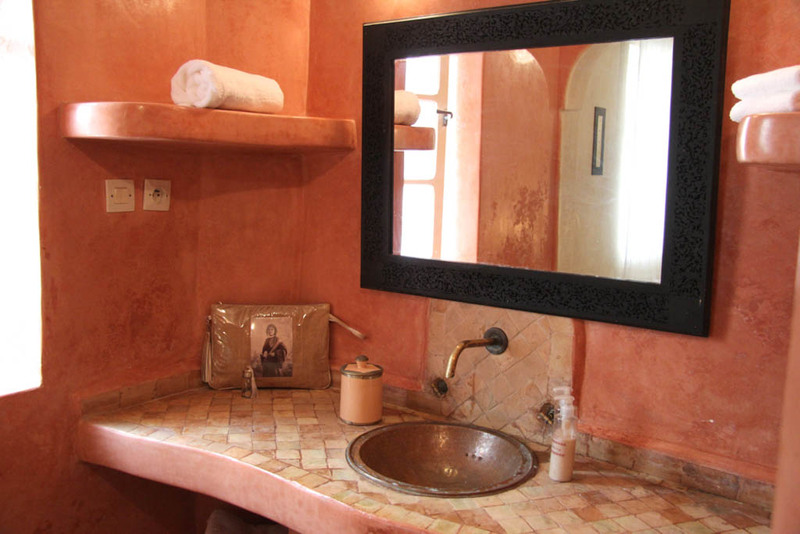 All rooms are en suite with a distinctive traditional Moroccan style. The entire building has an excellent WiFi coverage so you can stay connected. 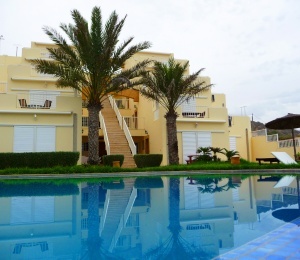 On the ground floor there is a lounge and a breakfast room as well as a large terrace for sunbathing and unwinding in the late afternoon after returning from the beach. Breakfast is included in the price and we organize a team dinner once a week where all our guests can join and share experiences around a traditional Berber dinner. We also make a weekly barbecue on the terrace. 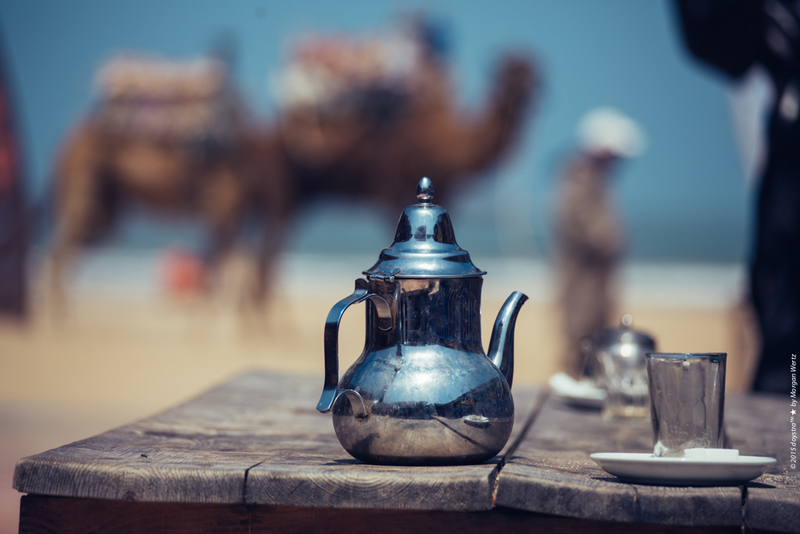 We can also arrange a half-board package, but Essaouira has a great diversity of places to eat out and we can recommend and reserve them for you. 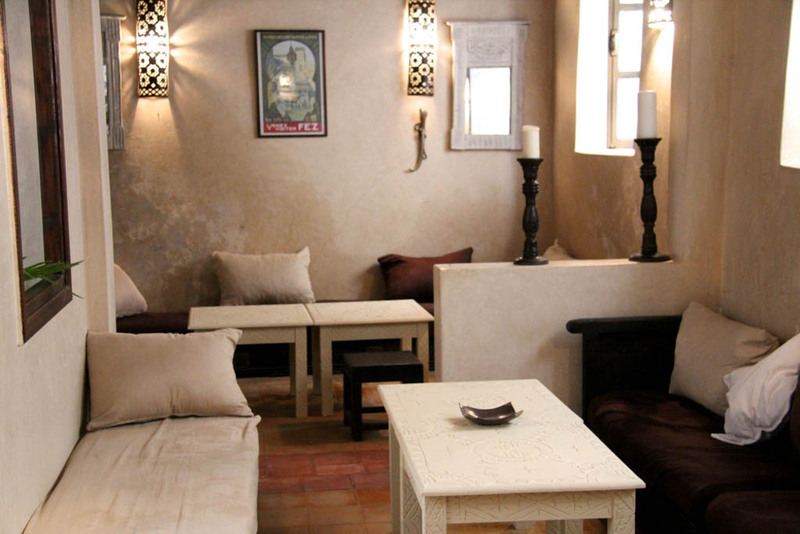 Essaouira Surf Riad is located next to the old medina, in a quiet street, and close to all the restaurants, cafes and bars in the old town. 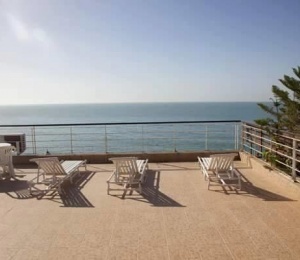 It is also just a few minutes from the port and the beach. On the other side of the bay just 15 minutes walk away is our surf center and the best waves in the area. This surf house has everything you need for a comfortable surf vacation full of good Moroccan energy! 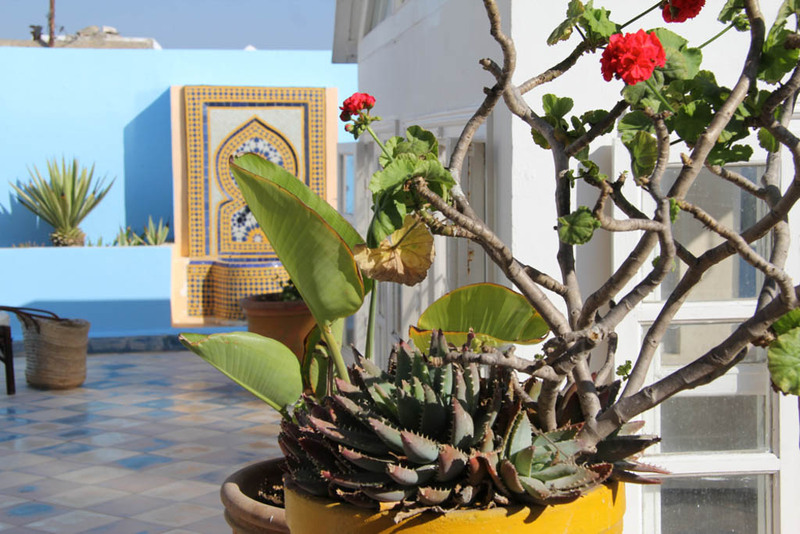 This Riad is designed for those looking for a quiet and pleasant place to stay and have easy access to the beach. Definitely a perfect choice for surfers. 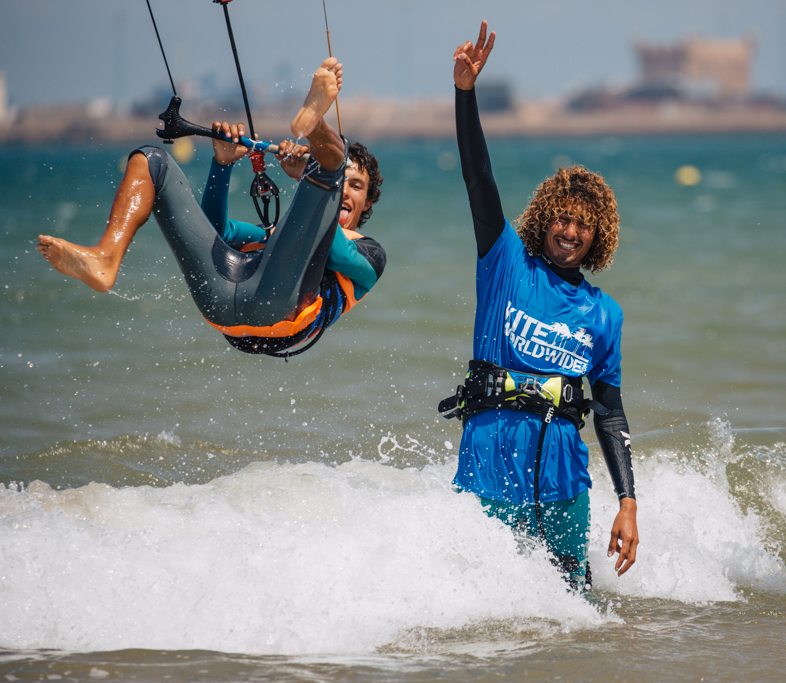 Essaouira is known worldwide as one of the best places in Africa for practicing wind sports, attracting every year a large number of visitors who come to experience these conditions while simultaneously enjoying a charming city. It is only more recently that the surf began to develop after some kite surfers and windsurfers began to surf the excellent waves around Essaouira while waiting for the afternoon wind. In Essaouira you can watch a curious phenomenon in which the wind normally only starts to blow in the afternoon, so in the morning conditions are excellent for surfing. Thus, Essaouira is one of the few privileged places where you can uniquely combine the practice of these sports that require very different natural characteristics. Therefore, you can count on morning surf lessons and afternoon kite lessons. 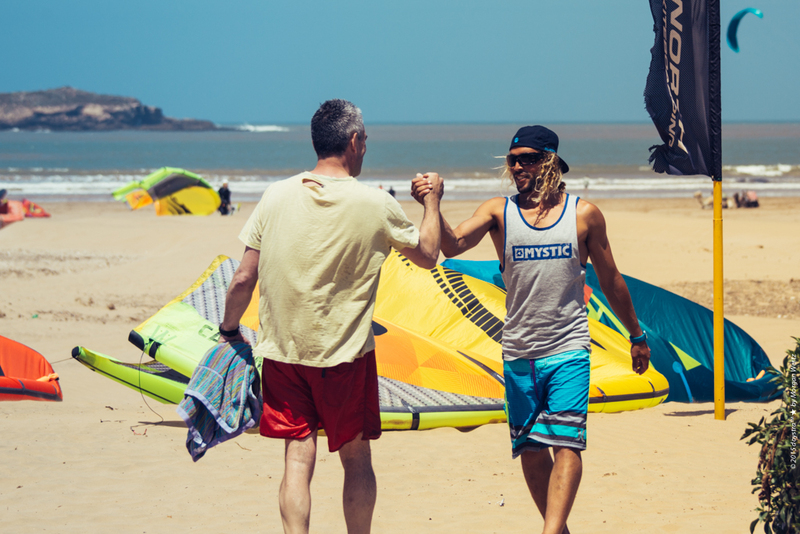 Essaouira offers ideal conditions for all levels of kite surfers due to the diversity of sandy bottoms, areas with different orientations and wind intensity. There is plenty to choose from and our guides will take you to the right place. 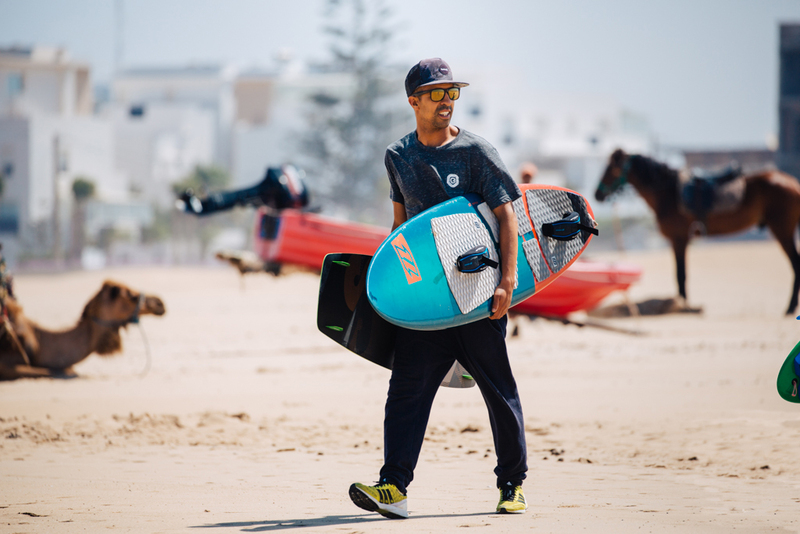 With regard to surfing, the waves in the Essaouira region are perfect for beginner and intermediate level. You can count on a beach support with a convivial area with WiFi, changing room and showers. Here we have all the equipment of last generation at your disposal and where we taught first theoretical lessons. We also have rescue boat and we offer this service to our students. SURFINN © 20-04-2019 12:42:41. ALL RIGHTS RESERVED.